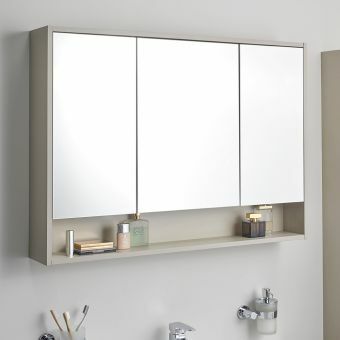 Stylish and functional, the Option plus wall-hung mirror cabinet is the ideal addition to any bathroom. 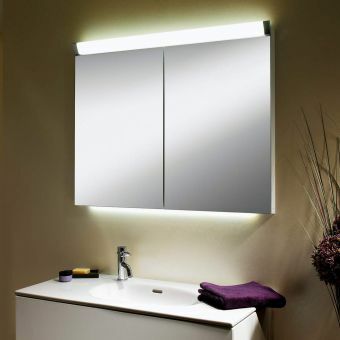 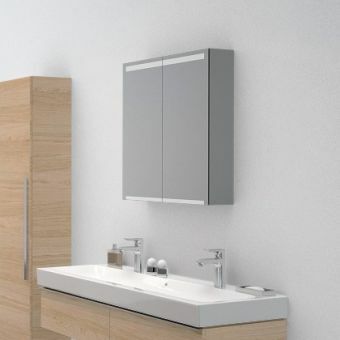 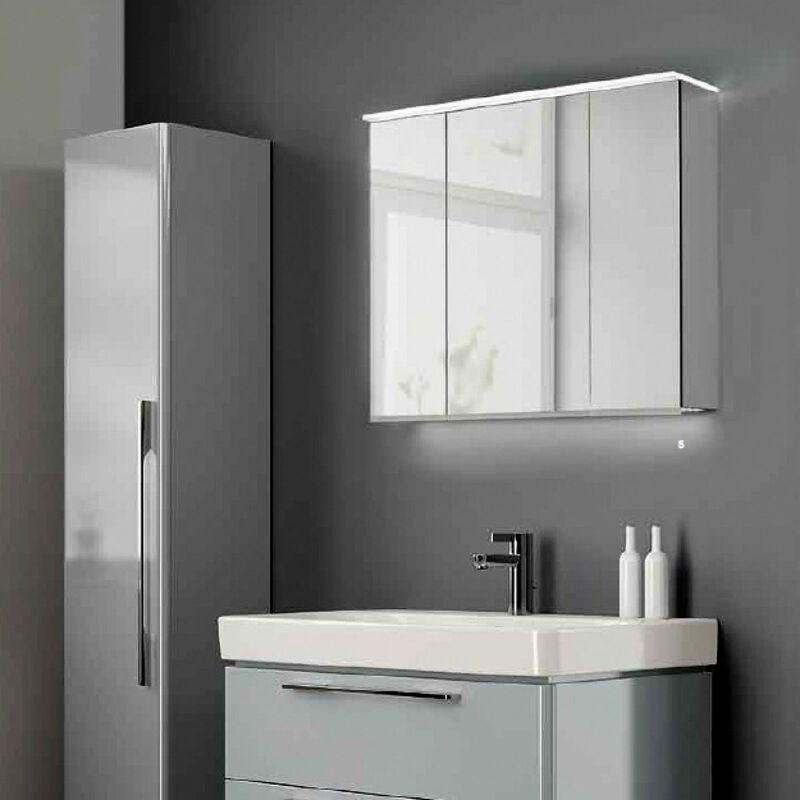 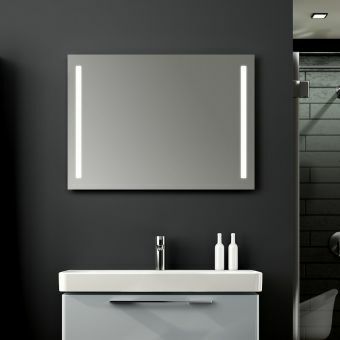 Featuring a contemporary cabinet with a mirror fronted modern design, this is sure to update the decor of any bathroom. 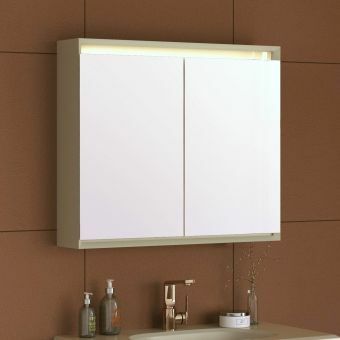 With full surface LED illuminated trim, this cabinet perfectly illuminates faces and rooms in an energy efficient manner. 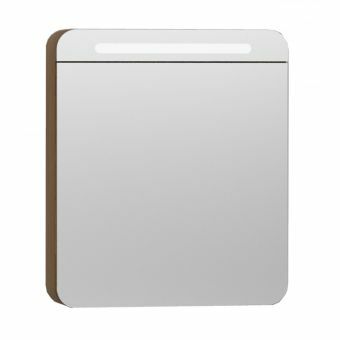 Available in three useful widths, 60cm, 90cm and 120 cm - all of which are large enough to hold any shower, bath, personal grooming or medical supplies. 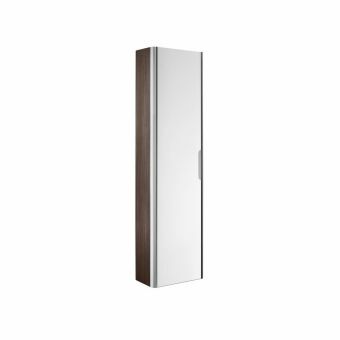 The cabinet features a shaver socket and additional mirrors at the back of the cabinet, as well as on the inside of each door. 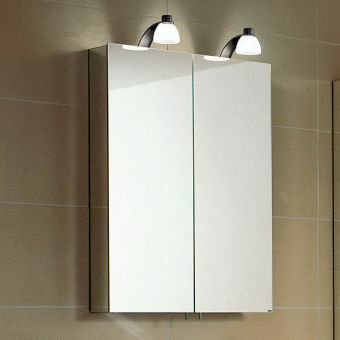 There is also three height adjustable tempered glass shelves, finished in a transparent grey. 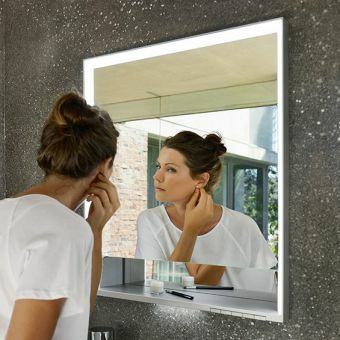 On the inside of the doors, there is an integrated magnification mirror for personal grooming and a magnetic holder for holding items such as nail clippers and tweezers.